Basic description: protection board (low or high voltage, high current) for four cell Li-poly batteries, working curent to 12 A. Basic description: Li-poly battery 3.7 V, 90 mAh, discharging 10C, weight 2 g, dimmensions 7x15x21 mm. Basic description: Li-poly battery 7.4 V, 500 mAh, discharging 20C, weight 29 g, dimmensions 9x30x55 mm. 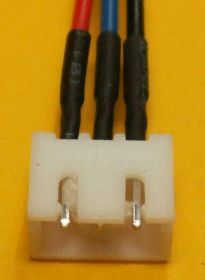 Complementary connector to service connector of two-cell batteries, connector in the first end and three wires length 10 cm. Basic description: protection board (low or high voltage, high current) for four cell Li-poly batteries, working curent to 10 A. 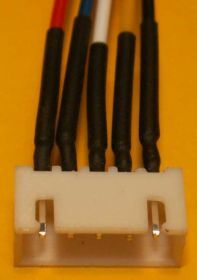 Basic description: Li-poly battery 3.7 V, 200 mAh, discharging 20C, weight 8 g, connector JST, dimmensions 8x20x33 mm. 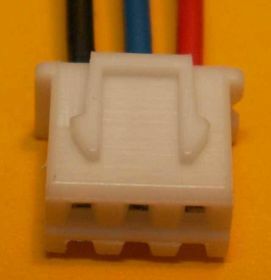 Complementary connector to service connector of two-cell batteries, connector with three wires length 10 cm. Basic description: Li-poly battery 3.7 V, 350 mAh, discharging 20C, weight 10 g, ciónnector JST, dimmensions 8x22x39 mm. 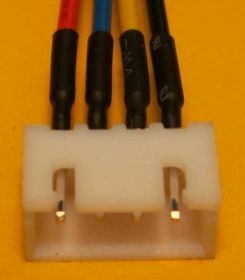 Complementary connector to service connector of threecell batteries, connector with four wires length 10 cm. 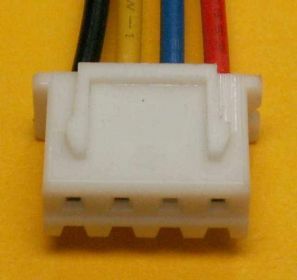 Complementary connector to service connector of four-cell batteries, connector with five wires length 10 cm. 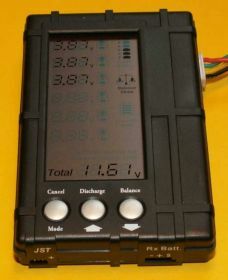 Basic description: Li-poly battery 3.7 V, 0.85 Ah, discharging 20C, weight 26 g, connector JST, dimmensions 8x30x50 mm. 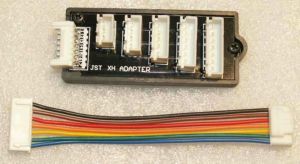 Basic description: micro processor-controlled Li-pol cells and all battery voltage meter and beeper for low voltage indication.